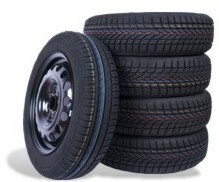 All tyre experts recommend winter tyres in winter and summer tyres in summer. Car owners who have both sets fitted on individual steel or alloy wheels don't have to worry about tyre changes in spring and autumn - tyres only have to be plugged in. That is doubly convenient. On the other hand, if they only have one set of wheels, both winter and summer tyres will need to be installed first, which could imply extra costs and time. On that note, if you consider getting high-quality alloy wheels and tyres, you could simplify your life. Many people underrate the importance of selecting adequate wheels and tyres. They think about it only when they stop working as planned. But these often overlooked pieces of equipment could mean the difference between an average and a great driving experience. When you choose to equip your car accordingly, its value is boosted. On top of that, nothing compares to a set of polished, new rims on a car. They definitely add to its aesthetic appeal, while enhancing its performance. This is a win-win situation. Alloy or steel, which is better? The opinions on this subject are mixed. While alloy rims certainly look better, steel rims offer durability and stability. The age-old argument, which alloy wheels are lighter and improve fuel economy, is countered by the fact that modern alloy wheel designs involve much more material (making them often heavier than regular steel rims in the same size). Aluminium, a soft metal, is more predisposed to scratches and dents (for example, from bumping against the pavement kerb). Powder coated alloy rims are especially quick to need a visit to a car service for repairs. Steel wheels, on the other hand, can also be susceptible to corrosion and surface rust. Car wheels affected by rust need to be treated immediately and coated with anticorrosive. The bottom line is always the price. Whether ordering winter tyres on aluminium alloy or steel rims, saving money is the priority of online shoppers. Allow us to fit and balance your new tyres on a set of wheels and send them to you (or your preferred fitting station) ready to install. 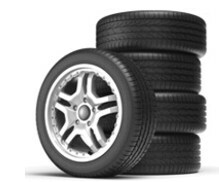 Look at the wheel and tyre packages available on 123tyres.co.uk, and order your preferred pick.